High risk of TB occurs due to HIV co-infection, undernutrition, crowded conditions, and tobacco use. Due to a weakening of the immune system, HIV infection increases susceptibility to opportunistic diseases such as TB.6 People who are HIV-positive are 26 to 31 times more likely to be diagnosed with active TB.12 This increased risk due to HIV co-infection is clearly seen in Cambodia, as 13% of patients with cases of smear-positive TB are also HIV-positive.13 In fact, TB accounts for 40% of deaths among HIV-positive patients, which further highlights the correlation between HIV and TB infection.14 Since HIV is most prevalent among young adults and low-income citizens, these population groups are at higher risk of active TB. Similar to HIV, undernutrition also increases risk of TB infection due to weakening of the immune system.6 Among TB patients in Cambodia, 36.4% suffer from undernutrition. Furthermore, undernourished patients are estimated to be 3.2 times more likely to have active TB.15 This risk increase is amplified among patients with vitamin D deficiency. 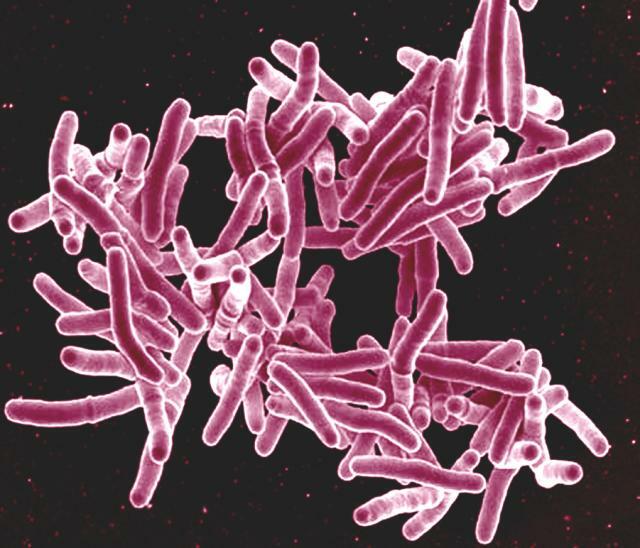 Since vitamin D is critical to the immune system, vitamin D deficient patients are 5 times more likely to have active TB.16 As a result, low-income citizens are at higher risk of TB due to the higher prevalence of undernutrition in low-income quintiles. Crowded conditions further increase the rate at which TB bacteria spreads among a population.6 In regions of Cambodia with over 500 people per square kilometer, over 200 cases of smear-positive TB are diagnosed among 100,000 people. In contrast, in regions with less than 20 people per square kilometer, less than 100 cases of smear-positive TB are diagnosed among 100,000 people. Clearly, as population density increases, the prevalence of TB increases as well.17 Therefore, low-income citizens are at higher risk of TB due to a higher exposure to crowded working and living conditions. Lastly, tobacco use increases the risk of infection by TB bacteria due to damage in the inhalation airways of the lungs.18 About 15% of TB patients in Cambodia smoke tobacco, and tobacco users are estimated to be 2 times more likely to have TB.15 In a comparison of smokers and non-smokers, about 160 cases of TB were diagnosed out of 100,000 smokers, as opposed to 102 cases of TB out of 100,000 non-smokers.19 Given that men and young adults are more likely to use tobacco, which puts these population groups at higher risk of TB infection. The social burden of TB also revolves around the stigmas that surround this disease. There is a growing perception among Cambodians that all TB patients have HIV.21 The cross-stigmatization of these diseases has resulted in social exclusion of TB patients. Although these social consequences are difficult to quantify in terms of statistics, it is clear that women suffer more from negative social responses, as women must often face severe familial rejection.22 As these stigmas continue to propagate, TB patients will lose significant economic and social opportunities. Considering that these issues will only worsen with time, it is imperative that we invest in programs that prevent TB from escalating these economic and social consequences. To combat these challenges, Cambodia must take immediate action by expanding investment in “Directly Observed Therapy, Short-Course” (DOTS) treatment, as well as taking long-run action by ensuring that the incidence of MDR-TB does not increase. Cambodia’s National TB Progamme (NTP) has successfully decentralized TB health services from a hospital-based system to a community-based system.23 These community-based health centers provide DOTS-based services, a six-month TB treatment regimen that has had a treatment success rate of over 90% in the past 12 years.8 Within half a decade, the NTP has greatly expanded the coverage of DOTS from 60 health centers to 1,000 health centers nationwide.23 Moreover, treating TB patients with DOTS is highly cost-effective, as the cost per DALY averted is typically around $5 to $50.6 With $31 million spent on the NTP budget, Cambodia has already witnessed a significant decline in TB mortality.5 This success must be sustained by continuing to supply health centers with trained health workers and DOTS-based treatment drugs. Although the total prevalence of TB has decreased in Cambodia, the increase in cases of MDR-TB is an issue of serious concern. Since MDR-TB is significantly more difficult and expensive to combat than TB, Cambodia should immediately consider working with the Lilly MDR-TB Partnership, a public-private initiative that aims to raise awareness about the risk factors of MDR-TB and ensure correct completion of DOTS treatment. With $135 million in funding, this program presents an opportunity to build upon the success of the NTP.6 Through these action steps, there is hope for a lasting solution to Cambodia’s TB challenge and a sustainable future for Cambodia’s economic and health prosperity. 1 Tuberculosis and malaria. (2015). USAID. Retrieved from http://www.usaid.gov/tuberculosis-and-malaria. 2 DTBE in Cambodia. (2012). CDC. Retrieved from http://www.cdc.gov/tb/topic/globaltb/cambodia.html. 3 Incidence of tuberculosis (per 100,000 people). (2013). The World Bank. Retrieved from http://data.worldbank.org/indicator/SH.TBS.INCD/countries/KH-4E?display=graph. 4 Global health. (2015). USAID. Retrieved from http://www.usaid.gov/cambodia/global-health. 5 Cambodia. (2013). WHO. Retrieved from https://extranet.who.int/sree/Reports?op=Replet&name=/WHO_HQ_Reports/G2/PROD/EXT/TBCountryProfile&ISO2=kh&outtype=pdf. 6 Skolnik, R. (2012). Global Health 101 (2nd ed.). Burlington, MA: Jones and Bartlett Learning. 7 Eang, M.T., Chheng, P., Natpratan, C., Kimerling, M.E. (2007). Lessons from TB/HIV integration in Cambodia. WHO. Retrieved from http://www.who.int/bulletin/volumes/85/5/06-036095/en/. 8 Cambodia. (n.d.) USAID. Retrieved from http://www.tbcare1.org/countries/asia/cam/. 9 GBD 2010 heat map. (2010). IHME. Retrieved from http://vizhub.healthdata.org/irank/heat.php. 10 Reaching the poor. WHO. (2004). Retrieved from http://www.wpro.who.int/publications/docs/Reaching_the_Poor.pdf. 11 Mao, T.E., Okada, K., Yamada, N., Peou, S., Ota, M., Saint S., … Onozaki, I. (2014). Cross-sectional studies of tuberculosis prevalence in Cambodia between 2002 and 2011. WHO. Retrieved from http://www.who.int/bulletin/volumes/92/8/13-131581/en/. 12 Tuberculosis. (2014) WHO. Retrieved Dec. 2, 2014, from http://www.who.int/mediacentre/factsheets/fs104/en/. 13 Hill, P.S., Eang, M.T. (2007) Resistance and renewal: health sector reform and Cambodia’s national tuberculosis programme. WHO. Retrieved from http://www.who.int/bulletin/volumes/85/8/06-036822/en/. 14 The Twin Epidemics: HIV and TB Co-Infection. (n.d.) USAID. Retrieved from http://www.usaid.gov/news-information/fact-sheets/twin-epidemics-hiv-and-tb-co-infection. 15 Lonnroth, K., Castro, K.G., Chakaya, J.M., Chauhan, L.S., Floyd, K., Glaziou, P., Raviglione, M.C. (2010). Tuberculosis control and elimination 2010-50: cure, care, and social development. Lancet, 375(9728), 1814-1829. http://dx.doi.org/10.1016/S0140-6736(10)60483-7. 16 Talat, N., Perry, S., Parsonnet, J., Dawood, G., Hussain, R. (2010). Vitamin D Deficiency and Tuberculosis Progression. Emerg. Infect. Dis., 16(5), 853-855. http://dx.doi.org/10.3201/eid1605.091693. 17 Wong, M.K., Yadav, R., Nishikiori, N., Eang, M.T. (2013). The association between household poverty rates and tuberculosis case notification rates in Cambodia. WPSAR, 4(1), 1-9. http://dx.doi.org/10.5365/wpsar.2013.4.1.002. 18 2011 National Adult Tobacco Survey of Cambodia. (2011). WHO. Retrieved from http://www.who.int/fctc/reporting/Cambodia_annex1_National_Adult_Tobacco_Survey_2011_final_report.pdf. 19 Singh, P.N., Yel, D., Kheam, T., Hurd, G., Job, J.S. (2013). Cigarette smoking and tuberculosis in Cambodia: findings from a national sample. Tobacco Induced Diseases, 11 (8), 1-9. http://dx.doi.org/10.1186/1617-9625-11-8. 20 Tanimura, T., Jaramillo, E., Weil, D., Raviglione, M., Lönnroth, K. (2014). Financial burden for tuberculosis patients in low- and middle-income countries: a systematic review. Eur. Respir., 43(6), 1763-1775. http://dx.doi.org/10.1183/09031936.00193413. 21 Statement by Mr. Andre Roberfroid, Deputy Executive Director, UNICEF at the ministerial conference on TB & sustainable development. (n.d.). Stop TB Partnership. Retrieved from http://www.stoptb.org/events/meetings/amsterdam_conference/robertfroidspeech.asp. 22 Kim, J.Y., Shakow, A., Castro, A., Vande, C., Farmer, P. (n.d.) Tuberculosis control. WHO. Retrieved from http://www.who.int/trade/distance_learning/gpgh/gpgh3/en/index5.html. 23 Cambodia turns a TB health crisis into an opportunity. (2012). WHO. Retrieved from http://www.who.int/features/2012/tb_cambodia/en/.